Aberdeen is a gorgeous custom color from Cambria USA. This color is part of the Waterstone collection. Cambria countertops are the perfect choice when you’re looking to stand out from the crowd. Cambria quartz countertops are always custom order, so contact a designer to discuss pricing for your new Aberdeen Cambria Quartz Countertops. Absolute Green is a gorgeous custom color from Silestone by Cosentino. Silestone countertops are a one of a kind choice for a one of a kind customer. Silestone is always custom order, so contact a designer to discuss pricing for your new quartz countertops. Acacia is a beauitful custom color from VICOSTONE. This color is part of the Exotic collection. VICOSTONE Quartz Countertops are antibacterial, scratch, heat and dent reistant, not to mention visually stunning. VICOSTONE is sold by the design, so contact a designer to discuss pricing for your new Acacia VICOSTONE Quartz Countertops. Adura Pearl is a gorgeous custom color from VT Industries. These custom laminate countertops are a perfect alternative to solid surface countertops, without sacrificing style. Formica & Wilsonart Laminate is always custom order, so contact a designer to discuss pricing for your new laminate countertops. African Red is a gorgeous custom color from Silestone by Cosentino. Silestone countertops are a one of a kind choice for a one of a kind customer. Silestone is always custom order, so contact a designer to discuss pricing for your new quartz countertops. Akoya is a beauitful custom color from VICOSTONE. This color is part of the Natural collection. VICOSTONE Quartz Countertops are antibacterial, scratch, heat and dent reistant, not to mention visually stunning. VICOSTONE is sold by the design, so contact a designer to discuss pricing for your new Akoya VICOSTONE Quartz Countertops. Almond is a gorgeous custom color from VT Industries. These custom laminate countertops are a perfect alternative to solid surface countertops, without sacrificing style. Formica & Wilsonart Laminate is always custom order, so contact a designer to discuss pricing for your new laminate countertops. Almond Leather is a gorgeous custom color from VT Industries. These custom laminate countertops are a perfect alternative to solid surface countertops, without sacrificing style. Formica & Wilsonart Laminate is always custom order, so contact a designer to discuss pricing for your new laminate countertops. Almond Papyrus is a gorgeous custom color from VT Industries. These custom laminate countertops are a perfect alternative to solid surface countertops, without sacrificing style. Formica & Wilsonart Laminate is always custom order, so contact a designer to discuss pricing for your new laminate countertops. Alpina White is a gorgeous custom color from Silestone by Cosentino. Silestone countertops are a one of a kind choice for a one of a kind customer. Silestone is always custom order, so contact a designer to discuss pricing for your new quartz countertops. Alpine is a beauitful custom color from VICOSTONE. This color is part of the collection. VICOSTONE Quartz Countertops are antibacterial, scratch, heat and dent reistant, not to mention visually stunning. VICOSTONE is sold by the design, so contact a designer to discuss pricing for your new Alpine VICOSTONE Quartz Countertops. Alpine White is a gorgeous custom color from Silestone by Cosentino. Silestone countertops are a one of a kind choice for a one of a kind customer. Silestone is always custom order, so contact a designer to discuss pricing for your new quartz countertops. Altair is a gorgeous custom color from Silestone by Cosentino. Silestone countertops are a one of a kind choice for a one of a kind customer. Silestone is always custom order, so contact a designer to discuss pricing for your new quartz countertops. Altea is a beauitful custom color from VICOSTONE. This color is part of the Classic collection. VICOSTONE Quartz Countertops are antibacterial, scratch, heat and dent reistant, not to mention visually stunning. VICOSTONE is sold by the design, so contact a designer to discuss pricing for your new Altea VICOSTONE Quartz Countertops. Amarillo Palmira is a gorgeous custom color from Silestone by Cosentino. Silestone countertops are a one of a kind choice for a one of a kind customer. Silestone is always custom order, so contact a designer to discuss pricing for your new quartz countertops. Amber Kashmire is a gorgeous custom color from VT Industries. These custom laminate countertops are a perfect alternative to solid surface countertops, without sacrificing style. Formica & Wilsonart Laminate is always custom order, so contact a designer to discuss pricing for your new laminate countertops. Andes Grey is a beauitful custom color from VICOSTONE. This color is part of the Classic collection. VICOSTONE Quartz Countertops are antibacterial, scratch, heat and dent reistant, not to mention visually stunning. VICOSTONE is sold by the design, so contact a designer to discuss pricing for your new Andes Grey VICOSTONE Quartz Countertops. Annicca is a gorgeous custom color from Cambria USA. This color is part of the Marble collection. Cambria countertops are the perfect choice when you’re looking to stand out from the crowd. Cambria quartz countertops are always custom order, so contact a designer to discuss pricing for your new Annicca Cambria Quartz Countertops. Antique Mascarello is a gorgeous custom color from VT Industries. These custom laminate countertops are a perfect alternative to solid surface countertops, without sacrificing style. Formica & Wilsonart Laminate is always custom order, so contact a designer to discuss pricing for your new laminate countertops. Antique Topaz is a gorgeous custom color from VT Industries. These custom laminate countertops are a perfect alternative to solid surface countertops, without sacrificing style. Formica & Wilsonart Laminate is always custom order, so contact a designer to discuss pricing for your new laminate countertops. Arabescato is a beauitful custom color from VICOSTONE. This color is part of the Exotic collection. VICOSTONE Quartz Countertops are antibacterial, scratch, heat and dent reistant, not to mention visually stunning. VICOSTONE is sold by the design, so contact a designer to discuss pricing for your new Arabescato VICOSTONE Quartz Countertops. Aragon is a gorgeous custom color from Cambria USA. This color is part of the Quarry collection. Cambria countertops are the perfect choice when you’re looking to stand out from the crowd. Cambria quartz countertops are always custom order, so contact a designer to discuss pricing for your new Aragon Cambria Quartz Countertops. Arctic is a gorgeous custom color from Silestone by Cosentino. Silestone countertops are a one of a kind choice for a one of a kind customer. Silestone is always custom order, so contact a designer to discuss pricing for your new quartz countertops. Argento Romano is a gorgeous custom color from VT Industries. These custom laminate countertops are a perfect alternative to solid surface countertops, without sacrificing style. Formica & Wilsonart Laminate is always custom order, so contact a designer to discuss pricing for your new laminate countertops. Argento Romano Ora 12′ Left Miter Laminate Countertop is an in stock laminate countertop option at Builders Surplus. Laminate is a great way to add style to you home without breaking the bank! Laminate can closely imitate natural stone or other materials without the extra expense. It’s easy to install if you’re going to do it yourself, and it will stand up to a decent amount of wear and tear. Come in store today to schedule your free kitchen design consultation. This laminate is ready to be purchased and taken home with you that day! ** Price may vary by store location. Argento Romano Ora 12′ Right Miter Laminate Countertop is an in stock laminate countertop option at Builders Surplus. Laminate is a great way to add style to you home without breaking the bank! Laminate can closely imitate natural stone or other materials without the extra expense. It’s easy to install if you’re going to do it yourself, and it will stand up to a decent amount of wear and tear. Come in store today to schedule your free kitchen design consultation. This laminate is ready to be purchased and taken home with you that day! ** Price may vary by store location. Argento Romano Ora 12′ Slab Laminate Countertop is an in stock laminate countertop option at Builders Surplus. Laminate is a great way to add style to you home without breaking the bank! Laminate can closely imitate natural stone or other materials without the extra expense. It’s easy to install if you’re going to do it yourself, and it will stand up to a decent amount of wear and tear. Come in store today to schedule your free kitchen design consultation. This laminate is ready to be purchased and taken home with you that day! ** Price may vary by store location. Argento Romano Ora 6′ Slab Laminate Countertop is an in stock laminate countertop option at Builders Surplus. Laminate is a great way to add style to you home without breaking the bank! Laminate can closely imitate natural stone or other materials without the extra expense. It’s easy to install if you’re going to do it yourself, and it will stand up to a decent amount of wear and tear. Come in store today to schedule your free kitchen design consultation. This laminate is ready to be purchased and taken home with you that day! ** Price may vary by store location. Argento Romano Ora 8′ Left Miter Laminate Countertop is an in stock laminate countertop option at Builders Surplus. Laminate is a great way to add style to you home without breaking the bank! Laminate can closely imitate natural stone or other materials without the extra expense. It’s easy to install if you’re going to do it yourself, and it will stand up to a decent amount of wear and tear. Come in store today to schedule your free kitchen design consultation. This laminate is ready to be purchased and taken home with you that day! ** Price may vary by store location. Argento Romano Ora 8′ Right Miter Laminate Countertop is an in stock laminate countertop option at Builders Surplus. Laminate is a great way to add style to you home without breaking the bank! Laminate can closely imitate natural stone or other materials without the extra expense. It’s easy to install if you’re going to do it yourself, and it will stand up to a decent amount of wear and tear. Come in store today to schedule your free kitchen design consultation. This laminate is ready to be purchased and taken home with you that day! ** Price may vary by store location. Argento Romano Ora 8′ Slab Laminate Countertop is an in stock laminate countertop option at Builders Surplus. Laminate is a great way to add style to you home without breaking the bank! Laminate can closely imitate natural stone or other materials without the extra expense. It’s easy to install if you’re going to do it yourself, and it will stand up to a decent amount of wear and tear. Come in store today to schedule your free kitchen design consultation. This laminate is ready to be purchased and taken home with you that day! ** Price may vary by store location. Argento Romano Ora Endcap Kit for Laminate Countertop is a finishing piece for your new laminate countertops. This hides the unfinshed edge and allows your countertops to look completed. **Price may vary depending on store location. Argento Romano Ora Reversible End Splash for Laminate Countertop is a finishing piece for your new laminate countertops. This hides the unfinshed edge and allows your countertops to look completed. **Price may vary depending on store location. Argento is a beauitful custom color from VICOSTONE. This color is part of the Exotic collection. VICOSTONE Quartz Countertops are antibacterial, scratch, heat and dent reistant, not to mention visually stunning. VICOSTONE is sold by the design, so contact a designer to discuss pricing for your new Argento VICOSTONE Quartz Countertops. Armitage is a gorgeous custom color from Cambria USA. This color is part of the Waterstone collection. 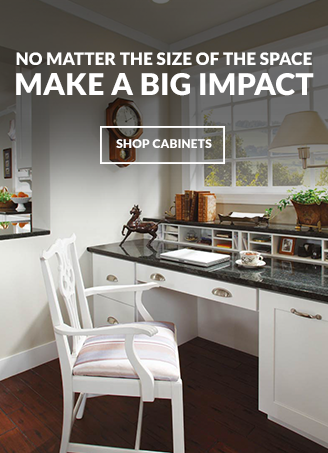 Cambria countertops are the perfect choice when you’re looking to stand out from the crowd. Cambria quartz countertops are always custom order, so contact a designer to discuss pricing for your new Armitage Cambria Quartz Countertops. Ashford is a gorgeous custom color from Cambria USA. This color is part of the Quarry collection. Cambria countertops are the perfect choice when you’re looking to stand out from the crowd. Cambria quartz countertops are always custom order, so contact a designer to discuss pricing for your new Ashford Cambria Quartz Countertops. Autumn Carnival is a gorgeous custom color from VT Industries. These custom laminate countertops are a perfect alternative to solid surface countertops, without sacrificing style. Formica & Wilsonart Laminate is always custom order, so contact a designer to discuss pricing for your new laminate countertops. Autumn indian slate is a gorgeous custom color from VT Industries. These custom laminate countertops are a perfect alternative to solid surface countertops, without sacrificing style. Formica & Wilsonart Laminate is always custom order, so contact a designer to discuss pricing for your new laminate countertops. Avalanche is a beauitful custom color from VICOSTONE. This color is part of the Exotic collection. VICOSTONE Quartz Countertops are antibacterial, scratch, heat and dent reistant, not to mention visually stunning. VICOSTONE is sold by the design, so contact a designer to discuss pricing for your new Avalanche VICOSTONE Quartz Countertops. Avalon is a beauitful custom color from VICOSTONE. This color is part of the Classic collection. VICOSTONE Quartz Countertops are antibacterial, scratch, heat and dent reistant, not to mention visually stunning. VICOSTONE is sold by the design, so contact a designer to discuss pricing for your new Avalon VICOSTONE Quartz Countertops. Azul Aran is a beauitful custom color from VICOSTONE. This color is part of the Natural collection. VICOSTONE Quartz Countertops are antibacterial, scratch, heat and dent reistant, not to mention visually stunning. VICOSTONE is sold by the design, so contact a designer to discuss pricing for your new Azul Aran VICOSTONE Quartz Countertops. Azul Enjoy is a gorgeous custom color from Silestone by Cosentino. Silestone countertops are a one of a kind choice for a one of a kind customer. Silestone is always custom order, so contact a designer to discuss pricing for your new quartz countertops. Azul Platino is a custom granite option at Builders Surplus. This granite is typically installed 3 weeks from templating. Installation is FREE, Sink Cutout is FREE and ALL custom fabrications are FREE! Our custom granite also comes with 7 edge profiles FREE and 2 premium profiles! 3cm Thickness. Granite has several advantages over other countertops. Because granite is so strong and durable, it will last for years with little effort on your part. Cleaning granite is as simple as wiping it down with a wet washcloth. The granite slabs are sealed to prevent staining and this clear finish is what makes them so easy to clean. Granite countertops also add to the resale value of your home, as most buyers look for this feature. *Prices May Vary By Store Location. Bahia Granite is a gorgeous custom color from VT Industries. These custom laminate countertops are a perfect alternative to solid surface countertops, without sacrificing style. Formica & Wilsonart Laminate is always custom order, so contact a designer to discuss pricing for your new laminate countertops. Bainbrook Grey is a gorgeous custom color from VT Industries. These custom laminate countertops are a perfect alternative to solid surface countertops, without sacrificing style. Formica & Wilsonart Laminate is always custom order, so contact a designer to discuss pricing for your new laminate countertops. Bala Blue is a gorgeous custom color from Cambria USA. This color is part of the Classic collection. Cambria countertops are the perfect choice when you’re looking to stand out from the crowd. Cambria quartz countertops are always custom order, so contact a designer to discuss pricing for your new Bala Blue Cambria Quartz Countertops.